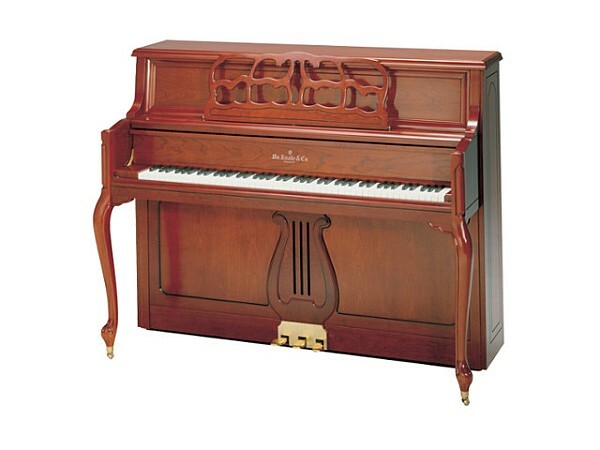 The Knabe WMV 647 French Provincial Console is their most traditional vertical model. Based on the WMV 247 Institutional Studio, Knabe’s WMV 647F is an ideal blend of rugged durable performance and elegant cabinetry. 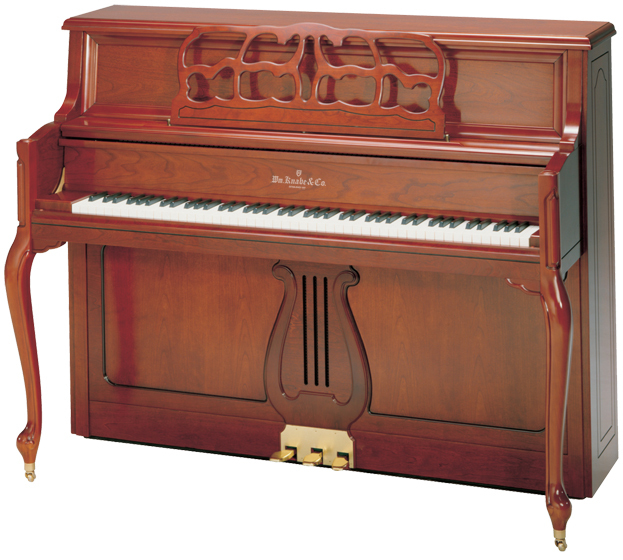 Available in ebony satin, mahogany, cherry or walnut finish with 7¼ octave (88 keys), 3 pedals (including practice mute), Rosleau music wire, solid maple trapwork, and slow close fallboard system.